You say men's iPad case. I say chic, oversized clutch. — Sukio Design Co.
You say men's iPad case. I say chic, oversized clutch. In pre-school, I participated in temporary toy swaps, exchanging my toys for Matchbox cars, and in elementary school, I religiously watched Transformers, Voltron, and He-Man (but who didn’t?!?!). 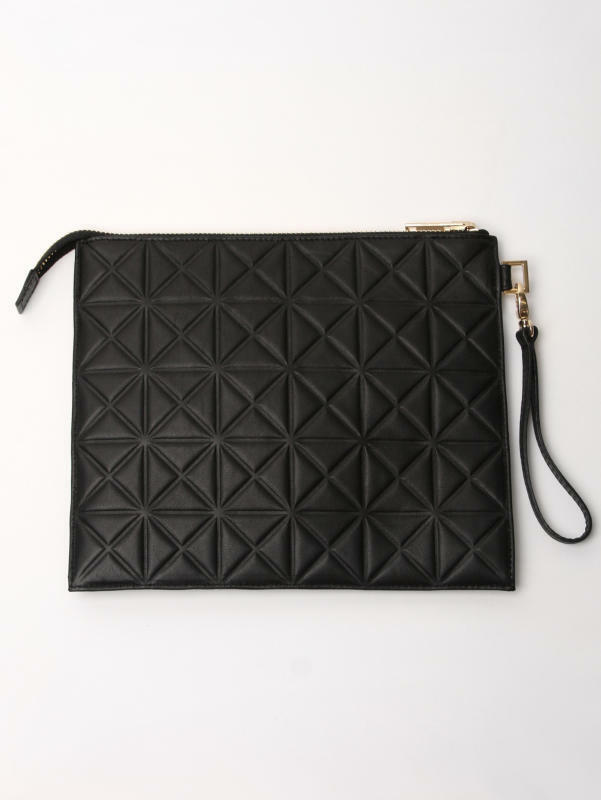 Yes, I sometimes have an infatuation with dude things, and this iPad case by Gareth Pugh proves the point. I love the geometric stamped leather and chevron innards. In fact, I was surprised to find that it was designed with a man in mind. Call me clueless. Fast forward 30 years - I never became a tomboy (to my mother’s delight). After all, I would pair this “men’s iPad case” with a great pair of stilettos, a gold cuff, and skinny jeans.